I don’t take photos of the dishes I order in restaurants. That’s what food stylists are for. 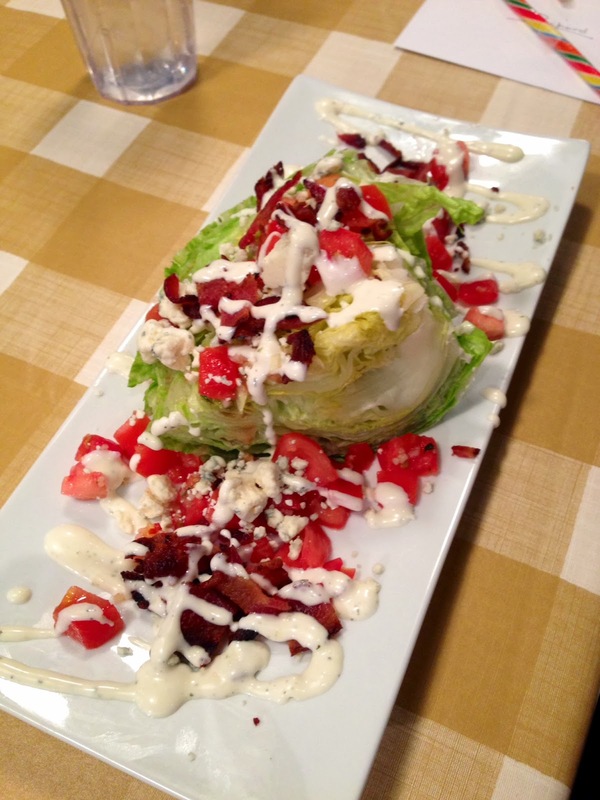 But luckily someone who recently ate at Uno’s Grill did take a picture of their new wedge salad. I ordered it today for lunch. It may not look all that different, but what makes this particular wedge salad so exciting is how it is dressed. Gone is the fungus-y blue cheese that has always interfered with my enjoyment of these nutrition-minus greens. In its place? It is my usual substitution, and now at least one restaurant agrees it deserves top billing on the menu. This entry was posted in Commentary, Cooking, Food, Humor, Life, Restaurants and tagged blue cheese, commentary, cooking, food, food stylist, Humor, life, menu, nuanced flavor, ranch dressing, restaurants, salad, Uno's, wedge. Bookmark the permalink.